OMG ! 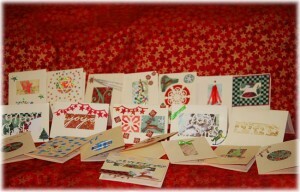 so fantastic cards, love them all ! you’re busy my friend ! 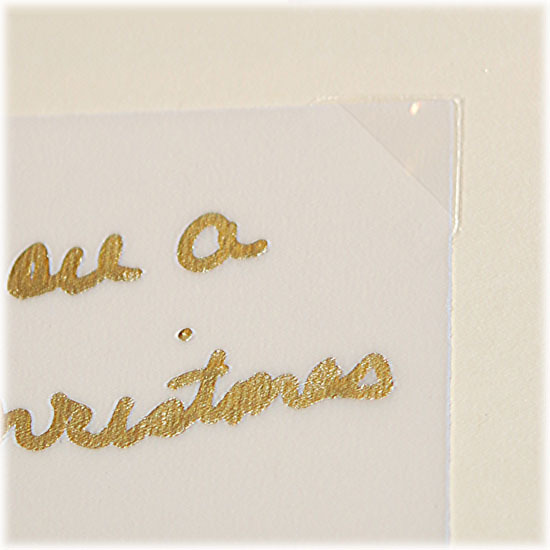 Oh and the little corners, such a good idea, i don’t known these things, that’s cool ! The card with ten reinder is so nice ! Very nice work my friend ! 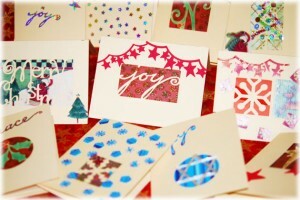 Cards are lovely and the recipients should be very pleased with them. I do wonder if they all realise the effort you have put into them although I expect you got pleasure and satisfaction out of the making. What a fantastic array of cards, you must have spent ages on them. They look amazing! They do look very good. Designs look very different and upbeat! 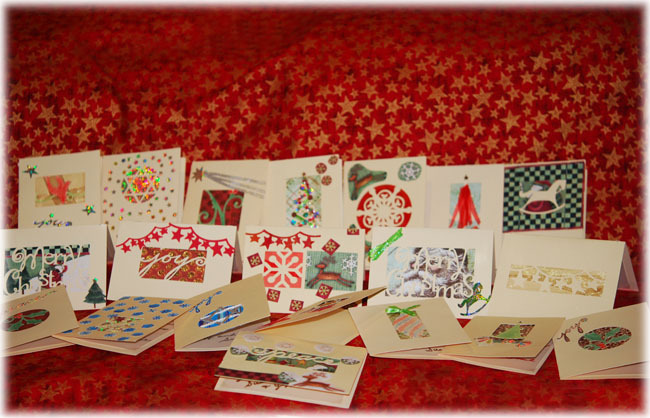 Wow – -you have been busy and they are all gorgeous. Well done. I love your cards and what a great idea with the vellum! Always difficult to work out how to fix it too but those corners seem to work a treat. In utter awe at making all your cards – I haven’t even started to look for mine yet – hoping I have some left over from last year!!! WOW! 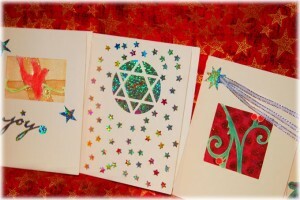 Fantastic cards, I love the corner’s idea and your hubby’s idea for replacing the message with a photo. 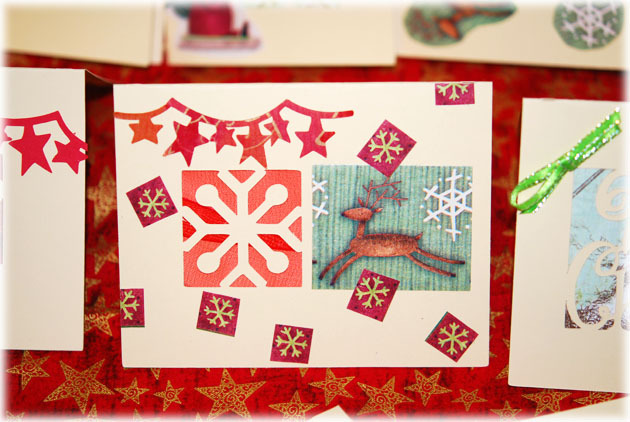 Recycled images are a great way to use up last years cards. Good luck with the kitchen. You’ve not only been busy, you’ve been a one person machine. They all look amazing. I agree with Caroline you put us to shame! 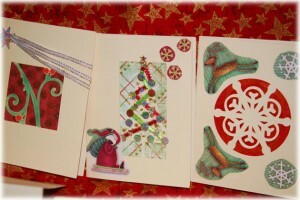 Love your set of whimsical cards. Great idea with the photo tabs for holding the sentiment.Hugs Mrs A. Your cards are truly wonderful and unique and to use the cricut is allowed – its how you use it that matters not that you used it at all. Absolutely wonderful cards. Thanks for popping over and leaving a comment, it made me smile, I’m picturing finding a whole string of time buried under the cushions along with the dropped crumbs and the long forgotten lost coins. love your cards, stunning! fantastic colours, layouts n so eye catching!